“I think the first time I heard about Pony Finals I must have been around 6 years old. At that time I really liked to watch videos of ponies on YouTube. I stumbled across someone’s Pony Finals trip and that led me to only want to watch and learn more about Pony Finals. It didn’t take very long for me to decide that I wanted to show at Pony Finals. Pony Finals seemed like pony heaven! 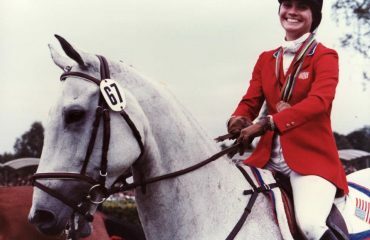 To me, all of the top pony riders went and I knew that I wanted to be a top pony rider one day, so I really wanted to go to Pony Finals,” wrote Cecillia Machado, a 14-year-old from Reading, Pennsylvania, in her blog spurssticksanddreams. 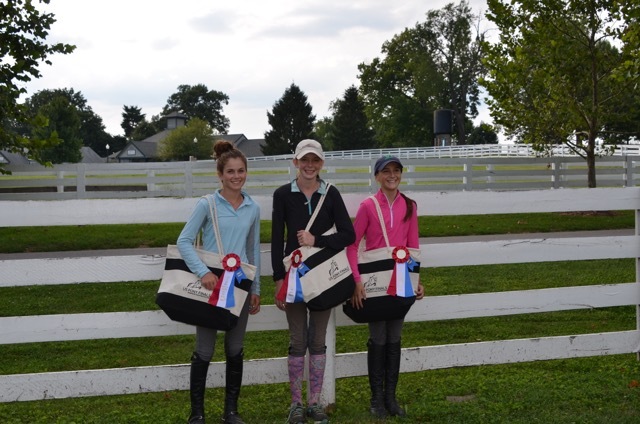 Pony Finals grant winners: Judy Dettore, Riley Hogan and Cecillia Machado, USHJA Foundation Gochman Grant recipients as their dream of competing at Pony Finals begins to unfold. Cecillia’s dream seemed distant for years because of the expense and resources required, but she was determined to make it come true. As one of six children, she split her days completing chores and caring for horses at her family’s barn, riding even the greenest of green ponies, staying on top of her school work and helping to care for her younger siblings. One day, opportunity knocked in the form of a grant that would help Cecillia realize her dream. Cecillia’s mother, Amy, found the USHJA Foundation Gochman Family Grant for the US Pony Finals presented by Collecting Gaits Farm, and they began the application process. In June, the USHJA Foundation contacted Cecillia with good news. 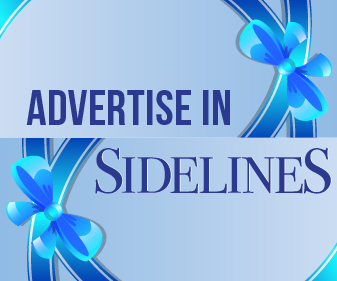 She was selected as one of three grant recipients. “I could not even talk much on that phone call. I was so, so happy and in shock! I felt like all of my dreams were about to come true,” Cecillia said. Cecillia, along with Judy Dettore and Riley Hogan, were the three lucky grant recipients who were able to attend Pony Finals. 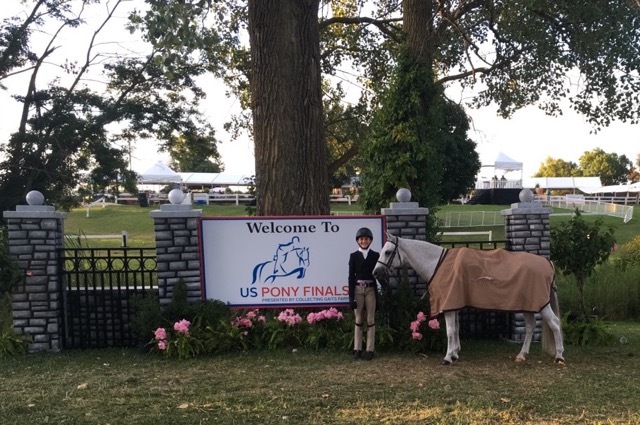 “Cecillia, Judy and Riley are wonderful kids, and to be able to give them the educational and inspiring experience that Pony Finals offers was an honor,” said Jennifer Burger, president of the USHJA Foundation, the organization that administers the grant. Cecillia was grateful to the Foundation and the Gochmans for her experience and the opportunity to realize her dream of competing at Pony Finals. 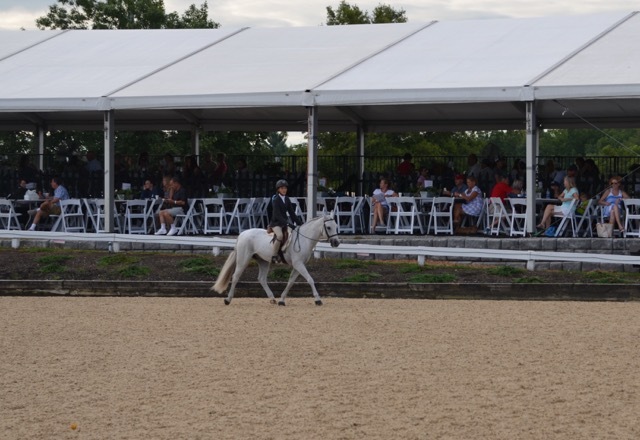 Through her blog, she details her experience from arriving at the Kentucky Horse Park to competing on her donated pony, “Spanky,” and the magic of making friends and learning along the way. Also, she has been encouraging other young equestrians to apply for this year’s grant, which has an application deadline of April 1, 2017. “I can never thank them enough, and will forever be grateful to them and what they did to help me accomplish a dream,” Cecillia said. The Gochman Family Grant is just one of numerous opportunities the Foundation provides to support the USHJA members and the sport. The Foundation has a simple vision that the hunter-jumper community embraces, supports and protects the people and horses who give their hearts to the sport. To support this vision, it focuses on four areas: 1) Supporting the basic needs of the USHJA members who don’t have the financial means to do so themselves following an accident, catastrophe or illness; 2) Inspiring USHJA members facing adversity through exceptional experiences; 3) Empowering USHJA members to further their education; and 4) Preserving and protecting the history and tradition of the hunter-jumper sport. Central to this vision is supporting USHJA programs that strengthen the sport overall and create opportunities for members to grow, learn and further the industry. Educational programs like the USHJA Horsemanship Quiz Challenge and Emerging Athletes Program, as well as the Wheeler Museum, rely on the support of individual donors through the Foundation to operate. At the same time, the USHJA Foundation helps individuals participate in these programs, offering grants for winners of the USHJA Horsemanship Quiz Challenge Nationals and partnering with the USHJA Zone Committees to offer travel grants for the USHJA Emerging Athletes Program and Trainer Certification Program, as well as scholarships. Since the Foundation began this partnership with the Zones, they’ve provided more than 125 travel grants for those two educational programs combined and more than 70 scholarships to USHJA members through the zones. 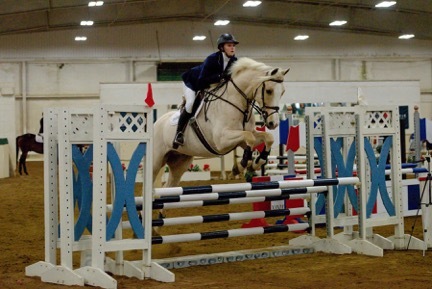 Gracie Marlowe: The Foundation supports the USHJA Emerging Athletes Program, as well as travel grants in partnership with USHJA Zone Committees to help riders participate in the program. Gracie Marlowe, winner of the 2016 EAP National Training Session, used one of these grants to help her compete. 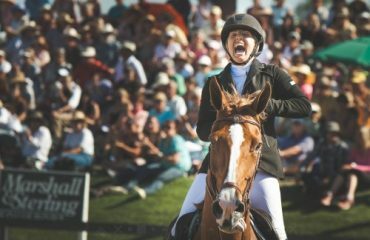 Additionally, since 2008, the Foundation has provided nine equestrians facing adversity with inspiring opportunities in the sport through the Making A Dream Grant, which encourages them to continue setting high goals and achieving them while overcoming their unique challenges. This grant program laid the foundation for the Gochman Family Grant. 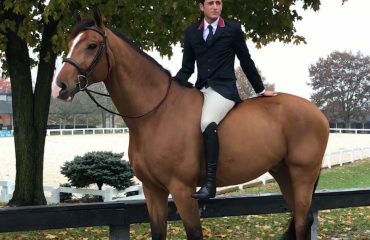 This year, the Foundation has expanded its offerings, adding a new scholarship: the USHJA Foundation Hamel Family Scholarship For Further Education. The $25,000 scholarship will be awarded to one USHJA member who meets the criteria to assist with college, graduate, trade or professional school. Applications for this exciting scholarship close April 30, 2017. Beyond opportunities for growth, the Foundation is there for members in times of need. The Horseman’s Assistance Fund provides emergency financial support to individuals after an illness, injury, catastrophic accident or natural disaster. Since 2008, the Foundation has granted more than $250,000 in financial aid to assist 30 equestrians in times of need, from barn fires to major injuries to other catastrophic events. The Foundation accepts applications for assistance throughout the year and responds as quickly as possible in these emergency situations. The Foundation relies on the support of individual donors, and it’s the power of individual donors coming together to support the sport that’s truly making a difference. Visit www.ushjafoundation.org to learn more or to donate.